Today Sylvia and I attended a fantastic book workshop presented by ScribbleHQ and hosted at Pizza Express in Manchester at the Corn Exchange. We took part in a session where we learnt the basics of book writing and we hen got to work creating characters and the outline of our own stories. My daughter chose a character called Barky the Dog and had a lot of fun creating her very first book. We learned quite a lot in just one hour, about characters and plot and how characters come together to help one another solve problems. 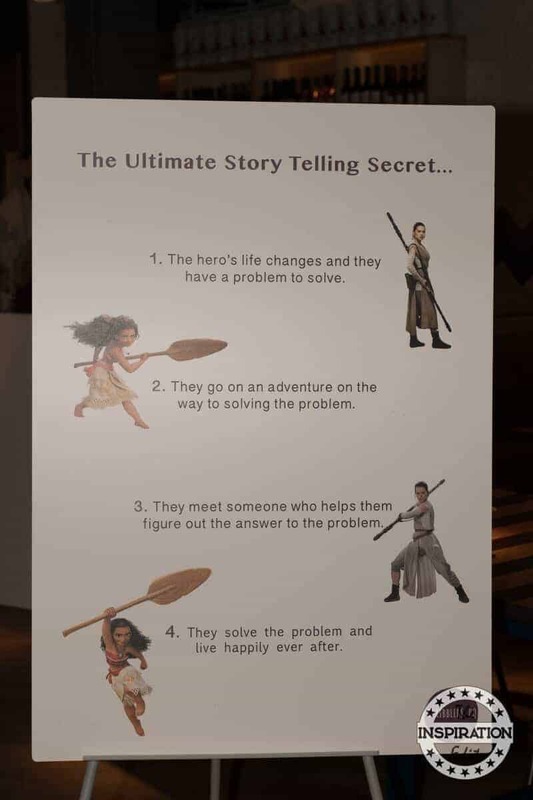 What we really loved were the examples used which were from Star Wars, Harry Potter and Moana. We are huge Star Wars and Moana fans and so this workshop really appealed to us. Once we had created our very own books, the kids were given gold stars and string to tie the books together. My daughter was really pleased to have created her first book and was excited to share it with her dad as we waited in Pizza Express for lunch. Sylvia had a kids margarita pizza, some cucumber, tomatoes and dough balls. She really enjoyed her meal and it was really tasty. PizzaExpress is supporting World Book Day with a special edition of the Dough Ball. Children are invited to win a year’s supply of books by designing their own World Book Day Dough Ball Bookmark. Visit Pizza Express to learn more. Sylvia enjoyed her day out, the book workshop and her kids meal and is excited to write more stories and books in the future. We enjoyed our adventure at Manchester Pizza Express and look forward to visiting again. Yes and I learnt quite a bit too. My daughter would love this little workshop! She loves telling stories, so creating a children’s book would be so easy for her! How awesome. I think writing stories is great for little ones. This sounds like a lot of fun for kids. My daughter would like this! She enjoys writing stories. And she loves her pizza. How fun is it, that Pizza Express have done something like this! I bet it is so nice to spend time together getting creative with delicious food as well! As an elementary school teacher, I absolutely love this idea for a workshop! Such a meaningful experience for your daughter, and I’m glad you got to spend the quality time together. I hope to find a similar workshop when my toddlers are a bit older! Yes it was good quality time. I bet you all had an incredible time. you seem like you did. and the pizza sounds incredible. and that the kids were able to do various activities. Hi Angela, your post is great, I am a fan of DIY crafts. I admire and congratulate your daughter for creating that cute book..
We really learnt a lot and it was perfect for my daughter. It looks like you and your daughter had a lot of fun. I wish there was something like that where I lived. I would love to take my son to it. I like that you were taught some things about characters and plot before writing your own books. Such a great initiative. I love it when brands/restaurants promote children’s creativity and now your daughter wants to keep on writing. Awesome! Yes. I totally agree, Creativity is so so important for little ones and really helps with cognitive development. Yes and I agree, it’s a great thing for Pizza Express to get involved in. Oh wow that’s what I call quality time with my kid! I wish I will be able to do it too with my daughter some day! Yes and such a worthwhile educational event too! This is such a great idea for teaching writing to kids! I love the way that it makes it fun too. Yes and we learnt such a lot in the space on an hour! It was a great way to celebrate World Book Day. This sounds like such a great event for kids! it was good and Sylvia enjoyed her pizza. Anything that promotes literacy and a love of reading and writing is right up my alley. As a Literacy Specialist, this is what I strive to accomplish with my own students.